This Hammock Bay beauty is located in the sought after area of Bay Cove. You will fall in love with the unique architectural features of this gorgeous home including soaring ceilings, graceful archways and lit art niches. The open floor plan is great for entertaining. 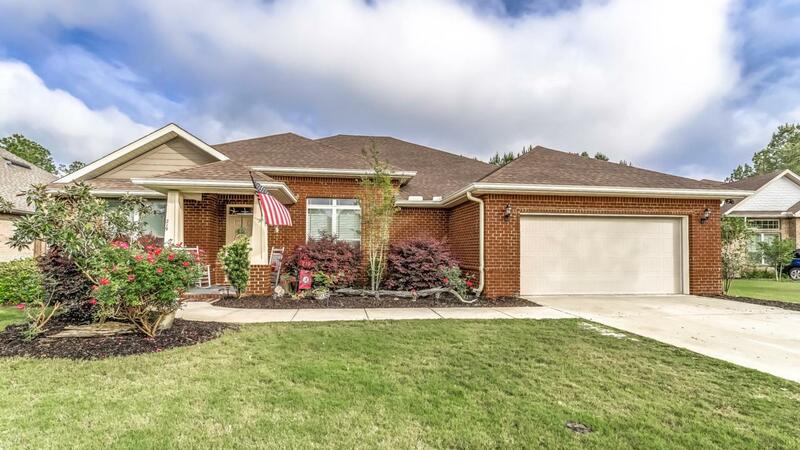 This home features all that you would expect from a high-end home including a gas range, granite counter tops, beautiful kitchen back splash, hickory wood flooring and crown molding throughout. A double split floor plan creates the perfect guest suite to welcome your guests while the other 2 guest rooms share a spacious Jack and Jill bathroom. The master suite has a soaking tub and tiled shower with his and hers walk-in closets. 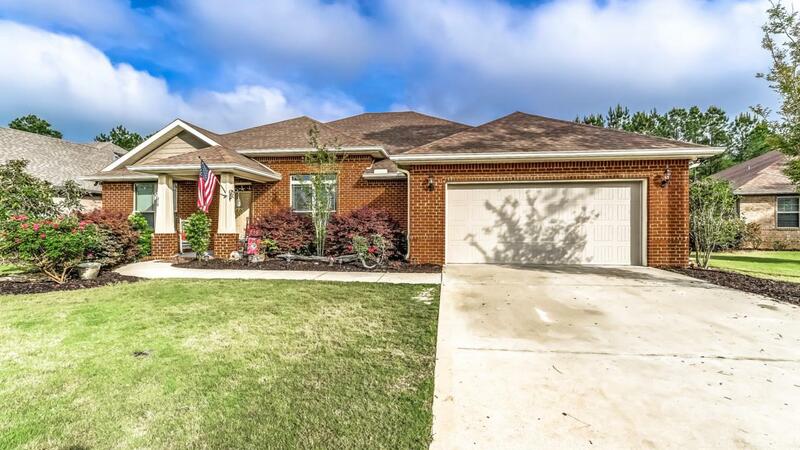 New carpet was just installed in the bedrooms.The oversized garage and large fenced in back yard are just another bonus feature of this beautiful home. Hammock Bay has 3,000 acres in a bay-front, lifestyle community that offers exceptional amenities. The pedestrian-friendly development has a network of sidewalks, nature trails, and bike paths that promote an active lifestyle. Amenities include: the 60 acre sports park featuring a multitude of ball fields, a Lake Club with a 25 meter lap and resort style pools with lighted tennis courts, a putting green, a massive playground, a caterer's kitchen, a large clubhouse with movie theater, a Fitness Club featuring weight equipment, cardiovascular equipment, a Bay Pavilion located on 480 feet of pristine shoreline of Choctawhatchee Bay and the Canine Commons, a pet-friendly park, offering an outdoor dog washing station and drinking fountains. 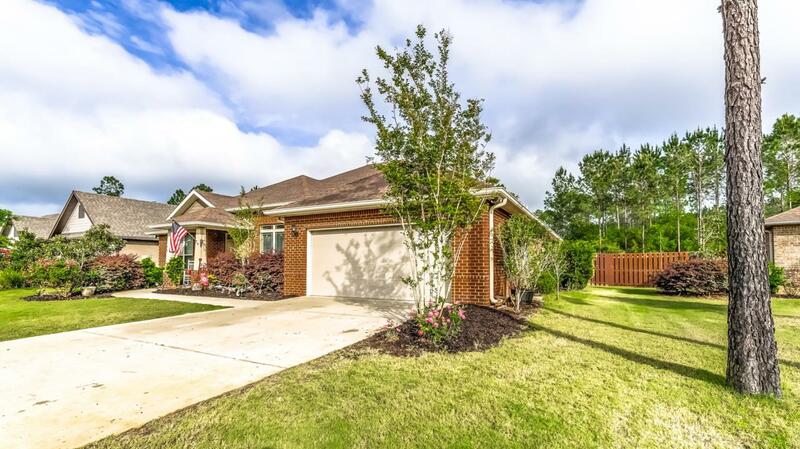 Freeport is only eleven miles from the beautiful beaches of South Walton, and within an hour of the Destin-Fort Walton Beach Airport and the Northwest Florida Beaches International Airport. Call and schedule your showing of this beautiful home today!